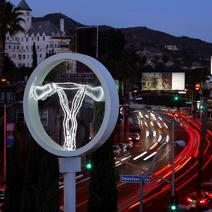 Zoe Buckman (b. 1985) was born in East London and studied at the International Center of Photography (ICP) in New York, where she currently lives and works. Her work has been exhibited at The Studio Museum in Harlem, New York; Jack Shainman Gallery, New York; Camden Arts Centre, London; Fort Gansevoort, New York; Papillion Art, Los Angeles; Grunwald Gallery of Art, Indiana University; Garis & Hahn, New York; Goodman Gallery, Johannesburg; Leila Heller Gallery, New York; Alan Koppel Gallery, Chicago; and Flowers Gallery, London. Recent exhibitions include a solo show at Project for Empty Space, Newark; as well as exhibitions at Gavlak, Los Angeles; Paul Kasmin Gallery, New York; and the Nathan Cummings Foundation, New York.